"You'll love flying out of Flint. The parking is much like Traverse City ....very convenient and, as far as I know, very safe. I would feel comfortable leaving a nice vehicle there...we've flown Flint many times and never had a problem. Since 1906, trains still run twice a day thru Lapeer between Chicago and Port Huron/Sarnia. Trains to Toronto start on the other side of the river in Sarnia. 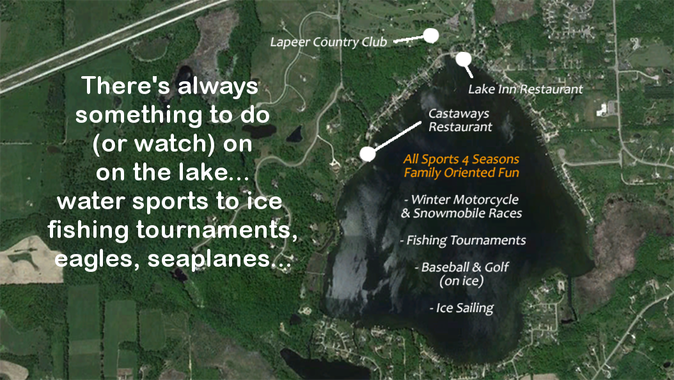 Situated on Lake Nepessing, the Lapeer Golf Club is a short (3 minute) drive from our gated community.